Welcome to the world, Mackenzie! Being a newborn photographer Cleveland is quite possibly the best job ever! Snuggling fresh babes and creating photographs to last a lifetime, it doesn’t get much better than that! 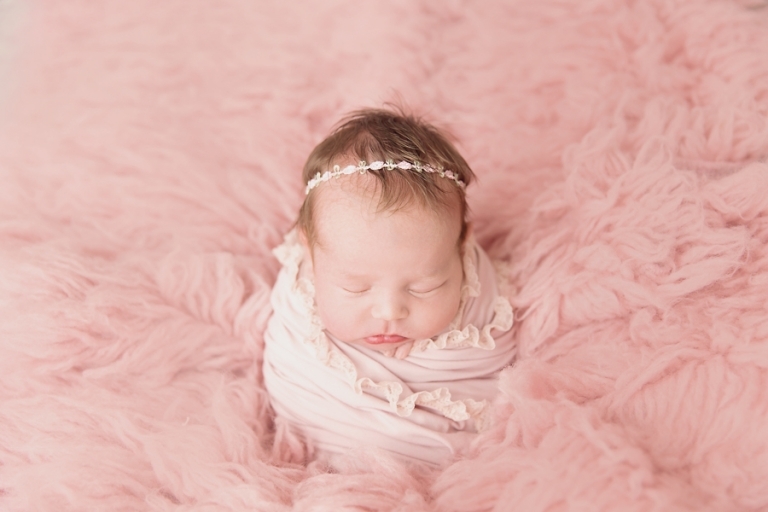 Mackenzie’s momma won the newborn session give away and I was so happy to have such a sweet family win. I love this bucket from JD Vintage Props, it fits the little ones perfectly! Miss Mackenzie snoozed her session away all wrapped up in this little bucket. A little pop of green is always fun! It’s not an often requested color, but whenever I pull it out, it’s always a favorite! Just like this bunny! All comfy and cozy, just like she was in the womb. Love this taco pose with those toes sticking out! Oh it is so exhausting being a baby! That sweet little yawn! I love family photos at newborn sessions! The first few weeks of being a family of three can be so chaotic but it is so important to make time for such a special keepsake. What a special time for a family to welcome a new member. <3 Aren’t they the cutest! Of course I say that often, but it’s true! I get the best clients! So sweet! Thank you so much for stopping by the blog! 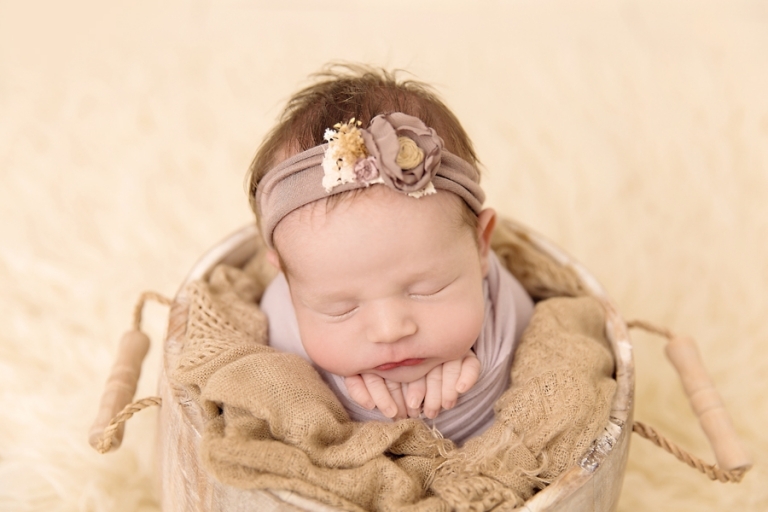 Looking for a newborn photographer Cleveland? 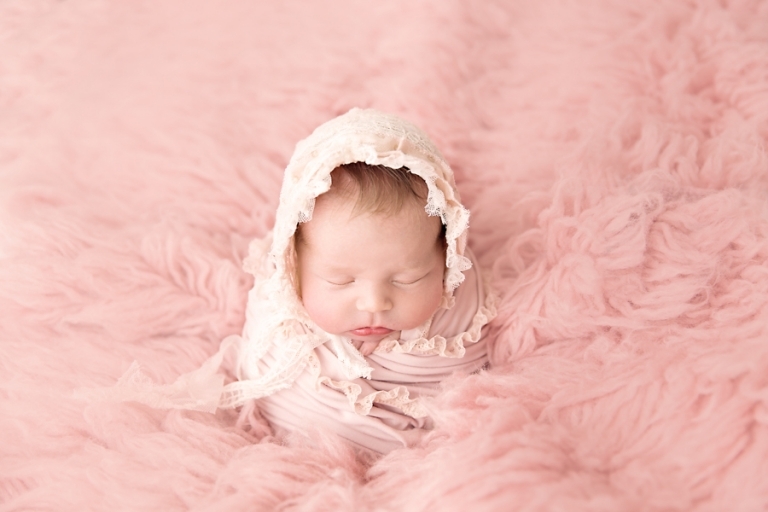 Please visit the newborn session information page and the newborn portfolio. If you like what you see, please contact me to learn more!